Bryndu is ideally situated, next to the Brecon Beacons National Park; Black Mountains and the Wye Valley. This area is full of adventure, heritage, waterfalls, mountains, internationally recognised dark skies, towns, villages and nature in abundance. 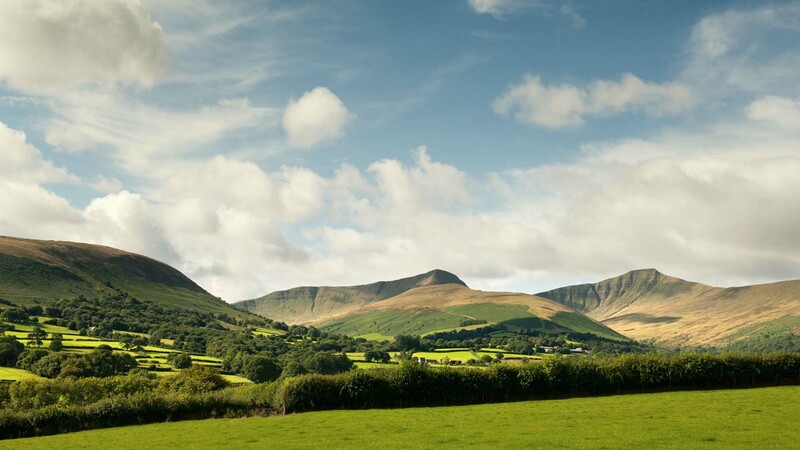 We are located in Mid Wales, being one of the most popular hiking destinations in Europe, also close by is the World Book Town of Hay-on-Wye, as well as the Agricultural town of Builth Wells and the picturesque town of Brecon. An ideal base for; Walking, cycling, pony trekking, fishing, canoeing, golfing, or just simply relaxing. Closely located to The Royal Welsh Show, Brecon Jazz and Hay-on-Wye Book Festival.